A crew from the Connecticut Department of Transportation clear trees along the Northbound Merritt Parkway at exit #31 for North Street in Greenwich, Conn. on Tuesday, March 27, 2018. More tree removal work is planned for Dec. 1-2, 2018. The state Department of Transportation will be removing trees on the Merritt Parking in Greenwich this weekend. The work that involves cutting dead trees, high limbing and clearing signs will be on the northbound and southbound sides of the parkway. The work is planned from 6 a.m. to noon on Saturday and Sunday. 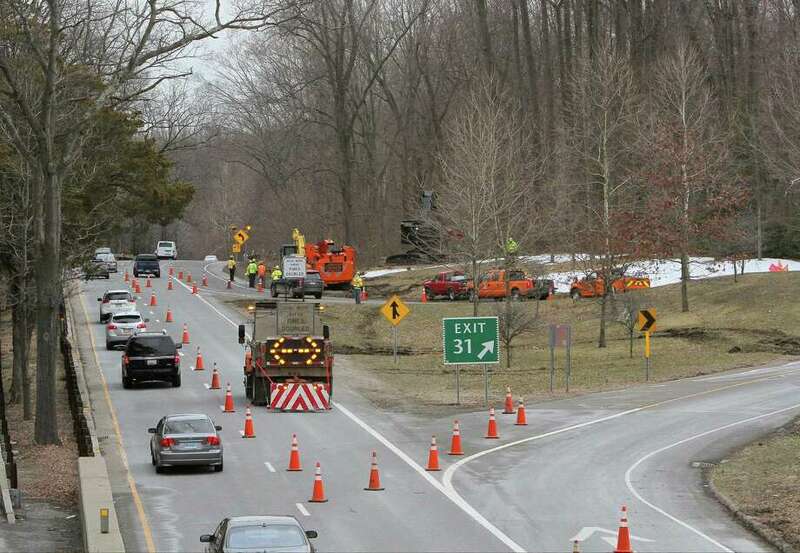 Motorists can expect lane closures between Exit 27 (Route 120A) and Exit 31 (North Street). “A moveable sign pattern will be utilized to guide motorists through the work zone,” DOT said in a release.